The Jan Sawka Legacy Blog | Deepening the understanding of the work of Jan Sawka. This article is by guest author Professor Slawomir Magala, the prolific author of many articles and publications and the Chair of Cross-Cultural Management at the Rotterdam School of Management. He is also a veteran of the Polish opposition and counter-culture. His article presents information concerning Polish art history that should be troubling, not only from the point of view of those invested in the legacy of Jan Sawka, but to anyone concerned with Polish culture. I believe that Dr. Magala has brought up a key issue of the impact on the shaping of cultural legacy by political bureaucrats and elites, with a result of what Dr. Magala calls “hidden injuries of the Cold War.” Together with my mother (Jan Sawka’s widow), we hope that this will be the beginning of scholarship and research that will bring these injuries to light, giving us not only a better understanding of the legacy of Jan Sawka, but of how cultural legacies are shaped by hegemony. The post below began as an article by Dr. Magala that appeared in Format: Pismo Artystyczne (Format: Art Magazine), Nr. 71, 2015, a publication of the Academy of Fine Arts in Wroclaw, Poland. 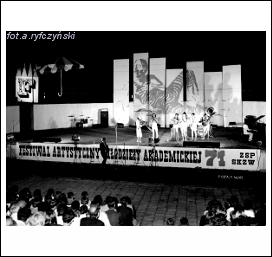 The Academy of Fine Arts is one of the two alma maters of Jan Sawka, however, the fact that Jan Sawka is an alumnus appears to have been otherwise forgotten, surely for reasons relating to those discussed by Dr. Magala. The post below is an expansion of the Format article and Dr. Magala has also taken into account a broader audience. Jan Sawka’s widow, Hanna Sawka, would like to inform readers that, while she cannot and does not wish to call into question art critic Szymon Bojko’s testimony regarding Henryk Tomaszewski’s words about Jan Sawka, she would like to go on record with an account about Mr. Tomaszewski. When Jan Sawka had his Masters defense, a professor and Dean on the committee named Prof. Gierczak opposed Sawka’s defense and completion of his studies. It was Mr. Tomaszewski who stepped up with support of Jan Sawka and who, as head of the Polish Union of Visual Artists, granted full membership (czlonek zwyczajny) to Jan Sawka. Without this membership, Jan Sawka would have been banned from accepting commissions and he would not have had the right to work professionally. Thanks to Mr. Tomaszewski, he would be able to make a living, however challenging it would eventually prove to be in an occupied Poland. Had Prof. Gierczak had his way, Jan Sawka would have been completely unable to practice as a visual artist. Mentioning this gesture on the part of Mr. Tomaszewski is in no way meant to discredit Mr. Bojko’s testimony, as the political situation of the time often resulted in conflicting words and actions. Further, thanks to this article, the Jan Sawka Estate has first learned of possible reprints of Jan Sawka posters, which would represent an infringement of international copyright law. The Estate will commence an investigation of this matter, in keeping with its policy of pursuing any and all copyright violations. Jan Sawka died on August 9th, 2012, in High Falls (New York State’s Hudson Valley). 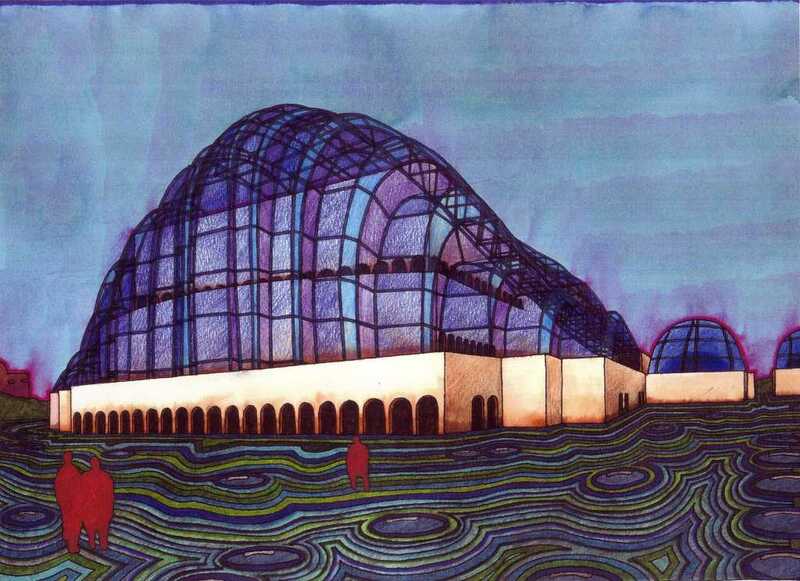 He was educated as an architect and as a visual artist. Obituaries in The Los Angeles Times and The New York Times praised his merits: he had developed our visual imagination in painting, drawing, poster-making and design of urban space, but he had also added a special flavor to our dreams in multimedia performances and in interactive architecture that was intimately linked to the sculpting of space and to the patterning of urban communications. The Polish media exercised restraint. Major dailies briefly noted the passing of the Polish artist and a local monthly posted a longer essay by a literary critic, his friend from student counterculture days in Kraków, Jan Pieszczachowicz. A deja-vu of sorts: when the great Polish novelist, Witold Gombrowicz, died in July of 1969, carelessly wrecking his chance to win a Nobel prize a few months later, the Polish media, which had then been subjected to the ruthless political control of the Communist party, briefly noted that the son of landowners and an émigré avant-garde writer had passed away. In 2012, the Communists were long gone, but the political correctness of the post-Communist establishment kept intact some of the Communist taboos about hierarchies of merit in the art world. Sawka was both an architect and a visual artist, both a designer and a performer, so his romance with SmartGlass was duly consummated in the advanced laboratories of TOHO, Sumitomo and NSG in Tokyo, and resulted, among other designs, in brilliant projects of roofs made of plasma glass and functioning as screens in the United Arab Emirates (economic crisis pulled the plug on this project) and in a daring venture of a monument for the world’s oldest religions of the Book – Hebrew, Christian and Muslim one – on a Jerusalem hill (political crisis shelved this one). A collection of failed projects? Not quite. Last, but, not least; Sawka designed huge banners functioning as giant sails above the stadium and behind the stage of his friend Jerry Garcia’s band, namely The Grateful Dead. 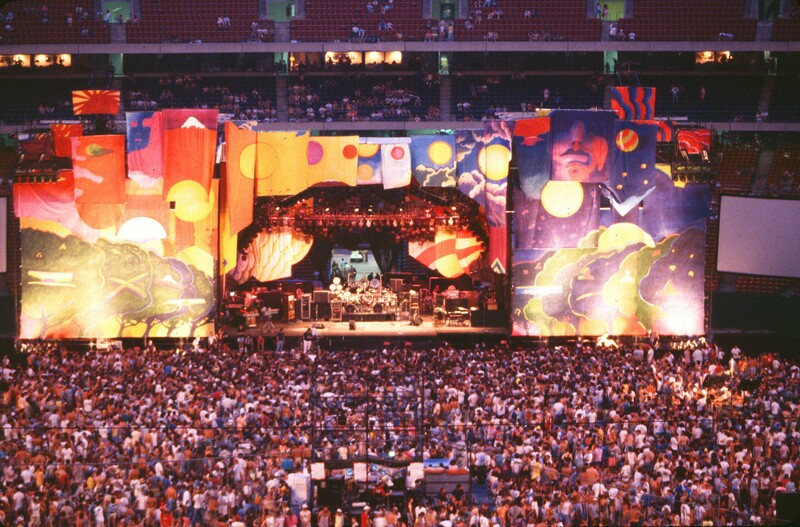 The legend of The Grateful Dead was built on their music and the musical talent of Jerry Garcia, but after they started attracting large audiences – the visual impact of the mass performances was reinforced when they started being wrapped in the sail-like psychedelic banners of Jan Sawka. Let us remind ourselves that while on tour, The Grateful Dead enabled between 2 and 3 million people to experience a large scale art installation by Jan Sawka, which is not a very common occurrence in pop concerts. The silence of the Communist officials is quite understandable. Sawka had been chased out from Poland by a Communist official in the Ministry of Culture. This bland bureaucrat told him, quite frankly, that greatness in art is a matter to be decided by top Communist party functionaries. Since Sawka was not their favorite, he had to share the fate of all rebellious individuals, who had been kept out of public spaces. “Most probably,” said this great bureaucratic maker-and-breaker of artistic careers, “Sawka will be sent to paint commercial advertisements for local grocery shops in small villages (in fact, he named the provincial town of Sanok and added that no exhibitions will be staged and no posters will be printed) – far away from the nurturing public and helpful media.” A nice perspective – sort of a promise that one’s art will be buried alive. And artists can, indeed, be buried alive so that new generations will grow having never heard of them. Sawka was not the only one who suffered. In 2015, a Polish journalist, Anna Wendzikowska, age 34, visited Hollywood and interviewed actors. She had to be corrected by Sigourney Weaver, age 64, who had to explain to her who was Jerzy Grotowski, one of the main reformers of contemporary theatre (along with Brook and Wilson). The incident would be trivial, had the journalist not graduated from a Warsaw theatre school and had she not been Polish. Weaver expressed surprise that Grotowski is not remembered, that monuments to him do not stand in front of theatres, and that students of theatre schools can graduate without knowing who he was and what he meant for the contemporary performing arts. One should add that both Grotowski and Sawka had been tolerated by the Communists as artists for foreign export, part of a sophisticated policy of propaganda, never meant for domestic consumption. Grotowski had to be exported, but kept invisible inside Poland. The same held true for Sawka’s posters, Jasinski’s STU theatre and many other countercultural explosions of young talent. Jan Sawka was a friend of mine. We became friends not only because we shared a profound distaste for the Communist dictatorship and their intellectual censors, which did not stop after Milosz’s “Captive Mind” had been published, after Stalin had died, and after some dogmas of the socialist realism had been abandoned. We had also become friends, because the Polish student counterculture has been our common, mutual, and shared environmental niche, our evolutionary protection against the Communist bureaucracy, the capitalist technocracy and other dead-end streets of the last years of the Cold War. We met at the International Festival of Open Theatre in Wroclaw, at performances of avant-garde student theatres – STU in Krakow, The Theatre of the Eighth Day in Poznan, The Academy of Motion in Warsaw, Kalambur in Wroclaw, 77 in Lodz, at the summer beach festival of FAMA in Swinoujscie, and after 1976, in New York City and in High Falls, NY. In all these festivals and theatrical performances, Jan Sawka had played a major role as a graphic designer of printed handouts, posters, programs and manifestos; of stage designs; and of visual design of complete public events and happenings. 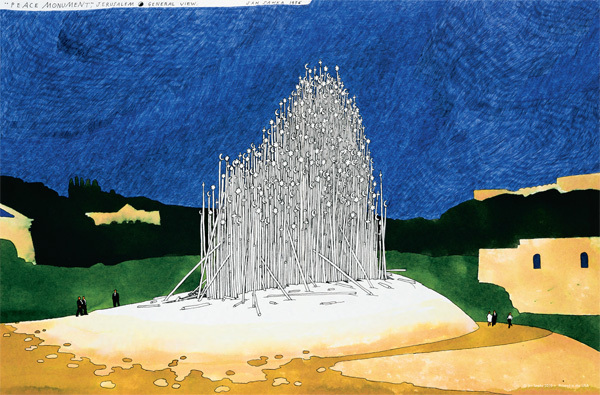 Jan Sawka was a fascinating multimedia artist, a visionary, a dreamer, and a very hard-working, solid craftsman – and by craft I mean not only the craft of a graphic artist, but also the craft of an architect, sculptor and designer of social spaces, and finally, that of a painter. As a student in Wroclaw, he had followed not only his studies at the Academy of Fine Arts (paintings, prints, engravings, and draughtsmanship) but also industrial design, art history and art restoration – quite an arrangement, supplemented with architecture and led by his premonition that design will become an emancipated, autonomous area of human creativity. 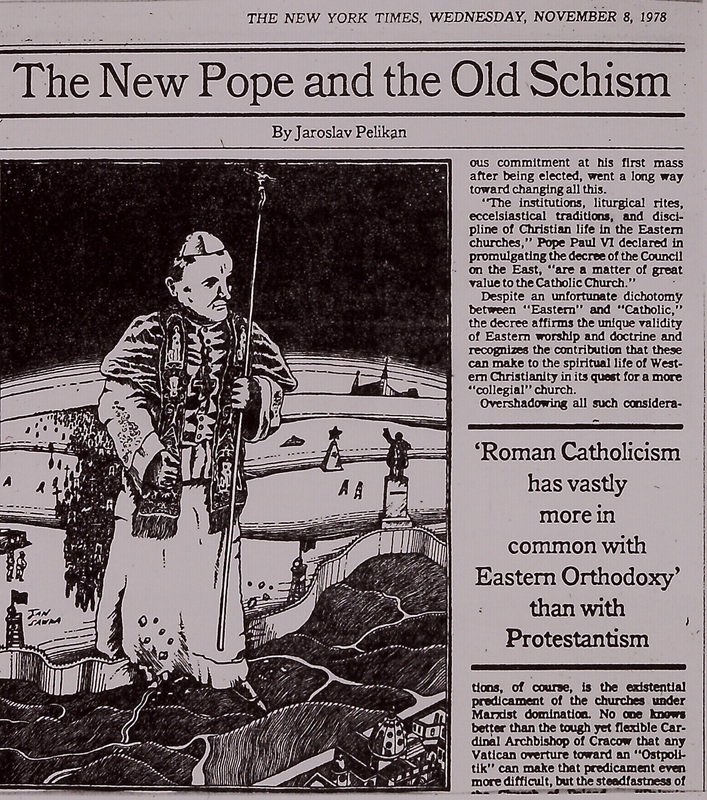 He had also been very sensitive to the Communist oppression: After moving to NYC he outraged the Soviet Embassy with his political commentary illustrations about the Polish Pope, the anti-Communist resistance and the like – these were printed on the editorial page of The New York Times. Some of the complaints by the Soviet Ambassador were framed and proudly displayed by the editors. Jan Sawka was forced into exile and his name has been exiled from the standard reference books on the Polish visual arts. In order to understand the hidden injuries of the Cold War, we should remember the paradox of abstract art emerging as a victorious symbol of the free world in spite of the conservative aesthetic tastes of the US political elites. It is true that the CIA-financed Congress for Intellectual Freedom was not moved by a passionate interest in abstract expressionism, or by a genuine fascination with Jackson Pollock’s drip painting. They were moved by a visual symbol of resistance to the facile and servile propaganda works of the representatives of the so-called school of Socialist Realism imposed as the dominant style on artists in Soviet-dominated societies. But in 1956, the dictatorship of a single realist style in art collapsed. Abstract traditions re-emerged and non-realist, non-figurative art became visible in public spaces. Nevertheless, the hidden injuries of the Cold War were still inflicted on the creative communities, because the institutional framework and the network of Communist power-holders survived the end of Stalin and of the most murderous phase of the Communist rule in Central and Eastern Europe. Contemporary art historians point out that a comparison of both radical breakthroughs in the post-war history of the central European societies – 1956 and 1989 – shows the tenacity of the institutional hold-up imposed by the Communist power elites upon the creative communities. In 1956, says Anna Markowska, who compared Polish art after 1956 and after 1989, the leading Social Realist artists rapidly changed their style, condemning Social Realism and their own former works, and then quietly continued enjoying the privileges of being members of a state-supported and state-sponsored artistic elite. The role of the dominant art gallery – Foksal in Warsaw, Cricot in Krakow – was crucial. Public space continued to be filled with the works of the recognized and rewarded, discussed and praised artists and with the comments of supportive art critics, who had continued to shape the public discourse, only conveniently reversing the valuation signs. Abstract had become good and could be exposed, while Social Realism had gone to the storage basements. The change was in style, not in the body of the privileged members of the artistic community. This time – after 1956, the elite simply dropped the former style and picked up new fashions, producing Abstract works of art and mimicking the trend-setters from Paris, London or New York. Some native traditions came in handy – Strzeminski and Kobro, for instance. For the artistic establishment, ready to preserve the institutional hold on the public space under new, less dogmatic masters, a genuine talent was a threat, because it unmasked the artificial hierarchy of merit maintained by corrupt institutions. Sawka was a genius from the outside, an artist who came in from the cold, and the artistic establishment did not want to accommodate him. Prizes? What prizes? He had to wait over ten years for the 1978 gold poster medal. The story of the Cagnes-sur-Mer prize, the Oscar de la Peinture, is even more telling. I wrote to the Polish Ministry of Culture in the Fall of 2013, requesting a copy of the 1975 Oscar de la Peinture and prize in the name of Giscard D’Estaing for Sawka. The official in charge of the Visual Arts Department of the Ministry wrote a polite response, claiming that there is no trace of any prize given to Jan Sawka in the Ministry’s archives. The bureaucratic forgetting, this arrogant ignoring of Sawka’s presence would not have been successful if his peers, especially those who had been institutionally privileged, but feared that their talents were inferior to those of Sawka, did not chip in. And chip in they did. Sawka’s friend and art critic, Szymon Bojko, remembers that his older colleagues, established poster makers and graphic artists – Tomaszewski, Lenica – did not like him. They acknowledged and respected his greatness, but they contained him by patronizingly calling Sawka, “an illustrator.” The label stuck: When I talked to the curators of the most significant Polish art museums and galleries in 2015 about a possible Sawka retrospective exhibition, most of them claimed that his place was in the poster collection and not in the multimedia or mainstream graphic arts section. In a sense, he had inherited the Communist curse upon his father. His father, an “enemy of the people,” according to the Stalinist secret police, was a an architect and a very good craftsman, a real specialist, whom the ruling party bosses asked for help when real job had to be done, and then, when a task at hand had been accomplished, they ignored him and removed him from the public view in order to take credit and enjoy the fruits of his labor. He was given to understand that he should be grateful that the authorities let him live. Jan Sawka, his son, likewise, had done a good job. In a less politically controlled world, he could probably pursue a multimedia career with architects and developers. However, the Polish artistic establishment (gently, or not always gently prodded by the secret police) stuck to this strategy of marginalization. With notable exceptions: The National Museum in Wroclaw acquired a decent collection of Sawka’s works under the directorship of Mariusz Hermansdorfer, and Director Zofia Golubiew organized exhibitions in Krakow’s National Museum. 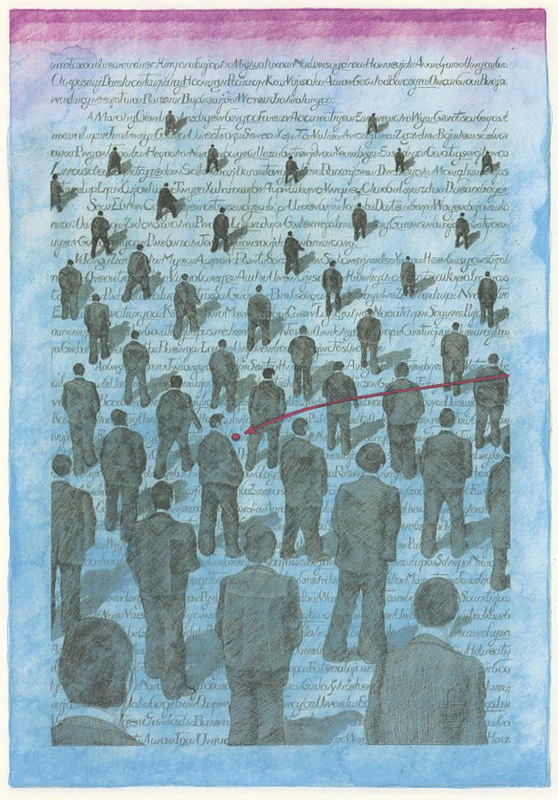 A tacit acknowledgment of his talent can be found in art galleries which re-print and sell his posters today. I myself have bought Sawka’s posters in the new University Library building in Warsaw and in the graphic art and poster gallery on 40 Hoza Street. “The Sphere,” Jan Sawka, acrylic on loose canvas, Photo by Momatiuk/Eastcott. 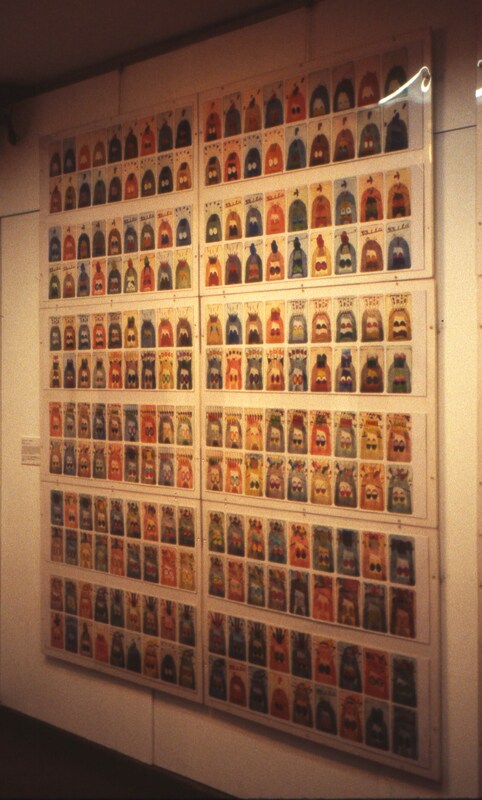 This is an installation shot from the 2013 memorial exhibition at the National Museum in Krakow, Poland. One cannot fail to notice the ultimate irony of historical fate: Jerzy Grotowski; a great reformer of the post-1968 theatre, a brilliant disciple of Stanislawski and Artaud, a friend of Brook, ending up in the footnotes of the official Polish textbooks of theatre history, simply because some of the mainstream critics thought that his artistic workshops neglected… the proper pronunciation of consonants by actors on stage. Well, perhaps he did, but our view of an actor’s body and our view of the building of an actor’s community with his or her audiences will never be the same again. Likewise, Jan Sawka, an intriguing and gifted multimedia visionary, has been locked in a marginalized compartment of illustrators specializing in posters, away from the visuals of the public space in virtualized cultural communications. Illustrator? Well, perhaps, but our view of the multi-media approach to roofs or towers built with plasma glass as screens in the desert or our view of the symbolic brotherhood of the three major religions in Jerusalem will never be the same again. When we talk about the beginnings of information and communication technologies, we usually think about two Steve’s, Jobs and Wozniak, sons of a Syrian and a Polish American, who met in a Californian garage and dreamed of an iPad, iPhone and – what a biblical association – Apple. Perhaps, as we now discover how the counter-cultural post-psychedelic hippies and flower power youngsters floated to what was soon to become the Silicon Valley, the cutting edge of the postmodern cornucopia, we shall also discover that Jerry Garcia, The Grateful Dead and Jan Sawka’s huge banners were all part of a larger evolutionary framework – liberating our imagination, chasing our dreams, and making sense of our lives. What framework of creative mind has he left to our visual and moral imagination?